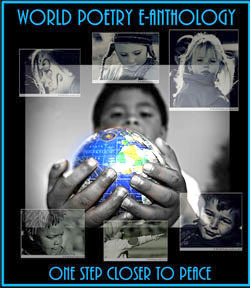 World Poetry Celebrates the Talented Youth Poet Ahmed Al-Khatat! Ariadne’s Notes: Exciting new show World Poetry Café radio show, July 12, 1-2 pm PST with a fascinating double billing of Melanie Simms an award winning poet of the Commonwealth of Pennsylvania at 1:10 pm PST, and featured at 1:30 pm PST the talented poet Ahmad Al-Khatat who was born in Baghdad. It is wonderful to have such youth poets, the guiding lights of the future. Canada is proud of them. Team: Ariadne Sawyer, MA and Dr. Diego Bastinutti, hosting. Victor Swartzman sound engineer, Sharon Rowe, special volunteer. The show included a beautiful e-poem dedicated with permission to Osiris Munir from a powerful e-poet from Kenya, Alexander Nderitu. He is a Kenyan novelist and poet. In 2014, BBC Scotland picked his poem ‘Someone in Africa Loves You’ to represent Kenyan literature at the Commonwealth Games. His official website is www.AlexanderNderitu.com Also included were segments by Jeanne Probst , Sharon Rowe and Victor Schwartzman with his new satirical book. LISTEN NOW FOR THE SHOW! Featured poet Ahmad Al-Khatat was born in Baghdad. From Iraq, he came to Canada at the age of10, the same age when he wrote his very first poem back in the year 2000. 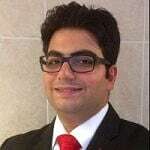 He also has been published in several press publications and anthologies all over the world and currently studies Political Sciences, at the Concordia University in Montreal. He has recently published his first chapbook “The Bleeding Heart Poet” with Alien Buddha Press. He has recently published his first chapbook “The Bleeding Heart Poet” with Alien Buddha Press. It is available for sale on Amazon. 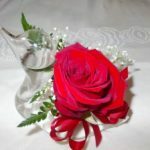 Most of his new and old poems are also available on his official page Bleeding Heart Poet on FB. I send my special salutations. and I send my greetings. I used to pray for love and peace. and I send my salutations. the martyr, and I send my salutations. and to it I send my salutes. To my homeland I will return eagerly and in peace. Fluttering over it will be the pigeons of peace. 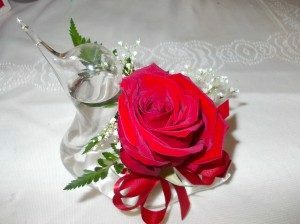 This entry was posted in Ariadne's Notes, E-Poets, Featured Poets, General and tagged Ahmad Al-Khatat, Alexander Nderitu, Author Sharon Rowe, Coop Radio Cfro, http://www.coopradio.org/content/world-poetry-caf-el-mundo-de-la-poesia-238, International Peace Award Ariadne Sawyer, Melanie Simms, Osiris Munir, Victor Schwartzman on July 16, 2018 by Ariadne. World Poetry Celebrates the Wonderful Poetess and Writer Melanie Simms ! Exciting new show World Poetry Café radio show, July 12, 1-2 pm PST with a fascinating double billing of Melanie Simms an award winning poet of the Commonwealth of Pennsylvania and a former Perry County Poet Laureate of PA on the show also featured was the talented poet Ahmad Al-Khatat who was born in Baghdad. Team: Ariadne Sawyer, MA and Dr. Diego Bastinutti, hosting. Victor Swartzman sound engineer, Sharon Rowe, special volunteer. The show included a beautiful e-poem dedicated with permission to Osiris Munir from a powerful e-poet from Kenya, Alexander Nderitu. He is a Kenyan novelist and poet. In 2014, BBC Scotland picked his poem ‘Someone in Africa Loves You’ to represent Kenyan literature at the Commonwealth Games. . His official website is www.AlexanderNderitu.com It was such an honor to talk to Melanie again and to meet Ahmad Al-Katat and listen to his poetry in Arabic and English. But through your kindness, I found salvation. Melanie Simms (C) All rights reserved by the author. 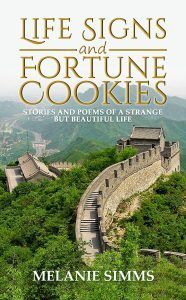 This entry was posted in Ariadne's Notes, E-Poets, Featured Poets, General and tagged Alexander Nderitu, Author Sharon Rowe, International Peace Award Ariadne Sawyer, Melanie Simms, Osiris Munir, Victor Schwartzman on July 14, 2018 by Ariadne. 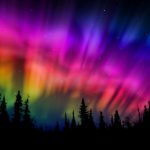 World Poetry Celebrates Deborah Kelly and Linda Antognini ! 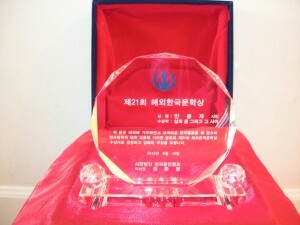 한국문인협회 상패(2012, 06, 12) 001 World Poetry Award. Ariadne’s Notes: The World Poetry Cafe , on April 15, 1-2 pm, PST, welcomed the poetess Deborah Kelly and the classical artist Linda Antognini to the show. Also the talented e-poets: Jeanneclaire Probst and Mohan Sanjeevan. Thanks to the World Poetry team of Victor Swartzman , sound engineer , Ariadne Sawyer, MA, host and producer, special volunteer Sharon Rowe and the media consultant Osiris Muir. Music by Stan Rogers and Djelimady Toukara. A special thank you to Osiris Muir Media. As other benefits are derived if the truth be told. When gifting thoughts from your heart for others to hold. 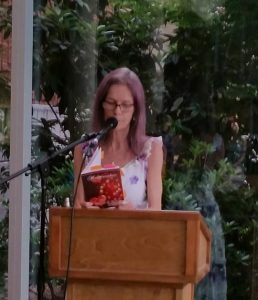 Deborah L. Kelly is an award winning Poet, who Features regularly throughout the Lower Mainland. 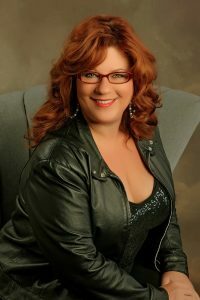 She is the award winning author of three published books of poetry, and is currently working on her fourth. Her work has been published in India, Uzbekistan and other countries as well. Poem to follow. 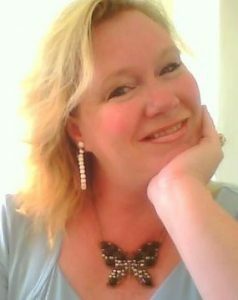 Linda is an accomplished classically trained artist creating original paintings and custom artworks. Linda, a true student of life and life long artist, studied art and lived in Italy for 10 years. She has been oil painting since childhood, taking her art wherever she goes. Her work reflects her talent and diverse experiences, as she connects each subject designing in both visual and emotional detail. Linda’s creations display passion and expressions, made possible by doing what she loves most, painting. Her works of art can be found throughout the United States and Europe. 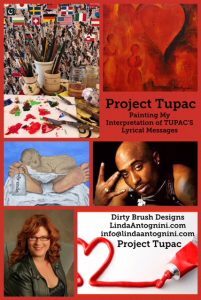 Linda’s current efforts are focused on “Project Tupac”, which is a collection of over 21 separate works of art. Project Tupac is designed to emotionally blend Tupac’s lyrical messages with her powerful artistic visual interpretations. Listening to each song while visually focused on the paired canvas, combine to create dynamic experiences that produce emotional responses that are profoundly unique and personal. “Project Tupac” has set a singular goal of promoting Linda’s work for the benefit of communities across our nation. Employing the fresh idea of blending Tupac’s lyrical messages and the visual canvas interpretation, “Project Tupac” is committed to promote awareness around the common social issues that Tupac Shakur sang so passionately about. HEAR the ART, SEE the MUSIC, FEEL the MESSAGE! This entry was posted in Ariadne's Notes, E-Poets, Featured Poets, General and tagged Author Sharon Rowe, Djelimady Toukara., International Peace Award Ariadne Sawyer, Jeanneclaire Probst, Linda Antognini, Mohan Sanjeevan, Osiris Munir, Stan Rogers on April 16, 2018 by Ariadne.